It's pretty hard to enrage free software advocates, the Creative Commons movement, and anti-overreaching copyright and anti-censorship camps with a single move, so 'congratulations' to Sony for managing that today. 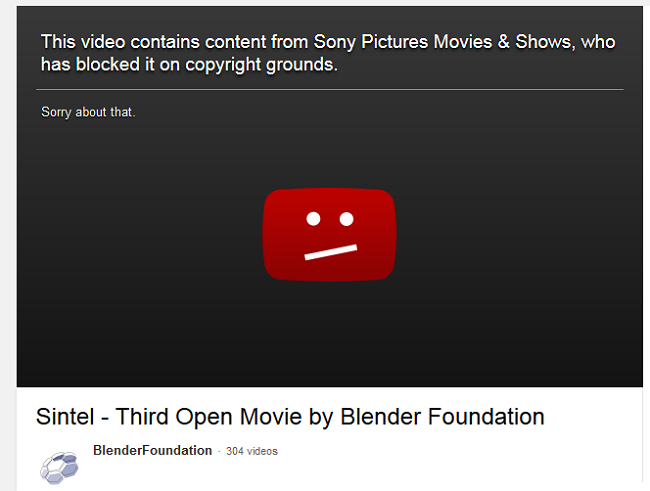 Thanks to a bogus DMCA takedown, the Blender Institute's open movie 'Sintel' is now blocked on YouTube. We’ve reported on dozens of wrongful DMCA takedowns over the years, with each raising their own unique issues. Some are just sloppy efforts executed by careless anti-piracy companies while others have been carried out in a deliberate effort to stifle speech. 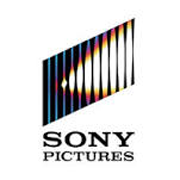 But while all wrongful takedowns have the potential to cause damage, few can be so clumsy and likely to enrage as the one carried out by Sony Pictures a few hours ago. If there was a competition to annoy as many people as possible with one click, Sony would definitely take the top spot. Here goes. To showcase what Blender can do and promote the platform, since 2006 the Blender Foundation and Blender Institute have released movies including Elephants Dream and Big Buck Bunny. Their third movie, Sintel, was released in 2010 and was funded by donations, DVD sales and other sponsorship. So that people were free to work with the movie, all animation data, characters and textures were released under Creative Commons Attribution License. Up until yesterday the movie was available on YouTube where it had been viewed millions of times. This version of the video is embedded in dozens upon dozens of news stories talking about the movie itself and the wider Blender project. However, the beauty of Sintel has now been transformed into something infinitely less creative. Apparently Sony Pictures think they created and therefore own Sintel so on that basis have had the video blocked on YouTube on copyright grounds. If prizes were being handed out for the ‘best’ wrongful DMCA takedown likely to annoy the greatest numbers of people, Sony would be taking Olympic gold here. Free and open source software – check. Multiple instances of community funding via donation – check. Creative Commons content censorship – check. Blatantly claiming copyright on someone else’s content – check. Shoot first, ask questions later mentality – check. The only good thing to come out of this as far as Blender is concerned is all the free publicity they’re going to get in the next 48 hours. Bad publicity aside, *nothing* will happen to Sony – people aren’t going to like that either.